The Timberwolf Lodge welcomes you and your family to the beautiful Clarion River Valley, Autumn Leaf Capital of the World! 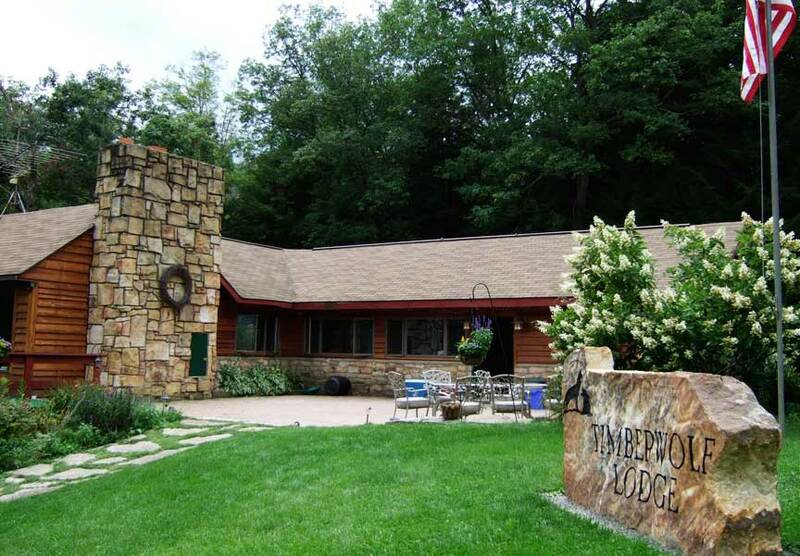 Adjacent to Clear Creek State Park, Allegheny National Forest, and Cook Forest State Park, the Timberwolf is the perfect spot for outdoorsmen and everyone who loves unspoiled natural forests. Overlooking the tranquil Clarion River and surrounded by old-growth forests, the Timberwolf Lodge is one of the Clarion River’s best-kept secrets. This peaceful sanctuary in Northwestern Pennsylvania has been hidden in these forests since the early 1900s when it was built as a camp for under-privileged boys. Over the years it has changed hands and is now owned by Clarion native Cutty Culbertson, who has added brick patios, balconies, docks, and almost doubled the square footage with a two-story addition. Accented with native flowers, the manicured grounds overlooking the river are the perfect place to hold your special event. Reception facilities include a commercial-capacity kitchen that can accommodate your catering company, or your favorite family chef. Cutty’s Timberwolf Lodge is the ideal spot to host your reunion, graduation, or birthday party – and the opportunities for an autumn wedding along the Clarion River are unparalleled! After several years of hard work and renovations on the resort and river cottage, we are now ready to share our little piece of riverside heaven with you.